PENGUIN allows you to create a beautiful memory every family member can share. 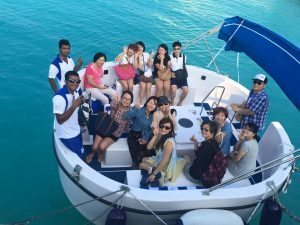 Penguin Ocean Leisure is promoting a culture of “togetherness” with semi submarine boat PENGUIN. 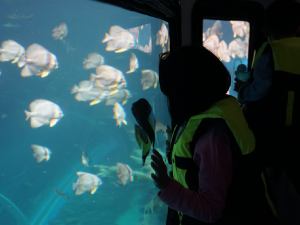 Anyone can easily join PENGUIN’s special underwater excursion. Seeing the awesome underwater world represents an exclusive moment. We are always looking for new places and developing a wider range of underwater content: underwater excursions, sculptures and performances. We enable people to enjoy the sea together, spreading our services and products to contribute to a culture of togetherness. 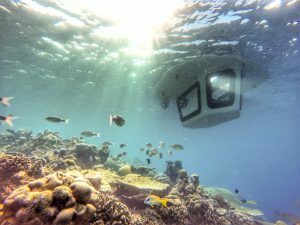 In May 2015, semi submarine boat PENGUIN launched at a Maldives’ resort. Our goal is to enable anyone to enjoy the underwater world, regardless of age or swimming skills. Since our first departure, we have learned a lot by trial and error; our products and services are now greatly improved as a step towards making our dream come true. 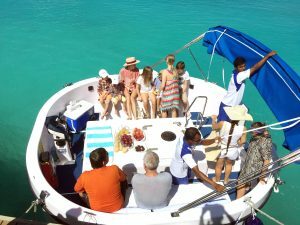 PENGUIN has brought great memories full of beautiful reefs and the underwater world to eleven thousand customers at four resorts in the Maldives. Beginning with the Maldives, we are pursuing our next step to spread a culture of “togetherness” through various content.